A Man For All Seasons, a Best Picture Oscar winner, tells the story of a man who said “No” to a king who demanded what he in good conscience believed belonged only to God and the church. Ed	McNulty, Visual Parables. "The Structure of Entrapment," D. Mark Davis, Left Behind and Loving It, 2012. The Adventurous Lectionary, Bruce Epperly, Living the Lectionary, 2017. "Our Whole Selves," Kathryn Matthews Huey, Sermon Seeds, SAMUEL, UCC, 2017. Preaching Helps (Pentecost +19). Rev. Dawn Chesser, United Methodist Church General Board of Discipleship, 2017. Faith in Process - Real Spirituality for Real Life, Bruce Epperly, 2017. The Lectionary Lab, Pentecost 18, the Rev'ds Dr. John Fairless and Delmer Chilton (aka "Two Bubbas and a Bible"), 2011. Girardian Reflections on the Lectionary, Proper 24 by Paul Nuechterlein & Friends. Jesus Now, Proper (Ordinary) 29A, lectionary, study and worship resources from Faith Futures Jesus Then & Now. Rumors, for October 19, 2008, Ralph Milton, "Sermon helps for preachers with a sense of humor." "Money," commentary and discussion, RevGalBlogPals, 2017. "Face to Face with God," Robert Cornwall, Ponderings on a Faith Journey, 2017. "Mysteries of the Image," Sermon-Stories.com, 2017. Exegesis, Betty Jane Lillie, Mount St Mary's Seminary, 2017. "Show Me The Glory," commentary and discussion, RevGalBlogPals, 2014. "Knowing and Being Known," Debie Thomas, Journey with Jesus, 2014. 2011, Daniel B. Clendenin. "Credo and the Credit Crisis," Adam Hamilton, 2008. 2005. "Crevace," sermon starter for Proper 24A, Rick Morley, 2014. "They Cried to the Lord," Jim McCoy, Ekklesia Project, 2014. Care for Creation Commentary, Kathryn Schifferdecker, Luthrans Restoring Creations, 2014. "Hooked on Giving," Steve Goodier, Life Support System, 2014. "Image and Likeness," Suzanne Guthrie, At the Edge of the Enclosure, 2014. "Show Me Your Glory," Jan Richardson, The Painted Prayerbook, 2014. Use of images. "Wandering Thoughts on the Face of God," Lynn Miller, Art & Faith Matters, celebrating our creative and living God by generating art and architecture resources for congregations and individuals. Art and Faith Matters facebook page contains additional resources. "What Belongs to God," Sermon-Stories.com. "A Living Question," Christopher Burkett, Preacher Rhetorica, 2014. "The Moses Moment," Andrew King, A Poetic Kind of Place, 2014. "And I Will Give You Rest," Stan Duncan, If You Lived Here You'd Be Home By Now, 2014. "Reframed by the Holy Other," Sharron R. Blezard, Stewardship of Truth, 2014. "The Backside of God," John C. Holbert, Patheos, 2011. "State vs God," Alyce M. McKenzie, Patheos, 2011. 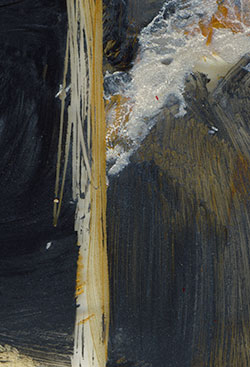 "I Recognize that Face," Bob Cornwall, Ponderings on a Faith Journey, 2011. "American Idols," Sharron R. Blezard, Stewardship of Life, ELCA, 2011. Miriam's Tambourine, Memphis Theological Seminary, 2011. Sermon Notes for October 16, Michael Rich, In-Formatio, 2011. "Join the NUMPTIES today," Neil Chappell, a weird thing, 2011. "Credo and the Credit Crisis," guest essay by Adam Hamilton, The Journey with Jesus: Notes to Myself, Daniel B. Clendenin, Journey with Jesus Foundation, 2008. 2005. "No Small Change," Debra Dean Murphy, The Ekklesia Project, 2008. "Whose Fire Truck Is It?" by Michael Renninger. A Sermon for Every Sunday: lectionary-based video sermons from America’s best preachers. "Render unto God what is God's," the Rev. Canon Frank S. Logue, Sermons that Work, Episcopal Digital Network, 2014. Propio 24 (A) – 2014 por Rvdo. Ramon A. Betances, Sermones que Iluminan, Episcopal Digital Network, 2014. Ministry Matters, October 19, 2014. "Render Unto Caesar," Frederick Buechner Sermon Illustrations. "What Makes a True Patriot?" The Rev. Nora Tubbs Tisdale, Day 1, 2008. "Our Whole Selves," Weekly Seeds, UCC, 2017. The Lectionary Lab, "Teaching the Text," Two Bubbas and a Bible, 2014. "Seeking Intimacy with God," Faith Element, 2014. Bible Study, Proper 24A, 2014, Charlotte La Forest, Sermons that Work, Episcopal Digital Network. Estudio de la Biblia. Propio 24 (A), por Charlotte LaForest, Sermones que Iluminan, Episcopal Digital Network, 2014. Worship Planning Helps (Pentecost +19): Worship & Preaching Notes, Hymn Suggestions and Worship Resources from the United Methodist Church General Board of Discipleship. Life in Liturgy, Disciples of Christ, 2017. 2014. Mustard Seeds, "On Being the Message," Proper 24, 2017. A lectionary-based ideas resource for leaders of contemporary worship, Ann Scull, Gippsland, Australia. Liturgy for the Celebration of Life, Pentecost 18A. Liturgies from a Progressive/Post-Liberal Theology, Revd Rex A.E. Hunt, The Uniting Church of St James Curtin, ACT, 2011. 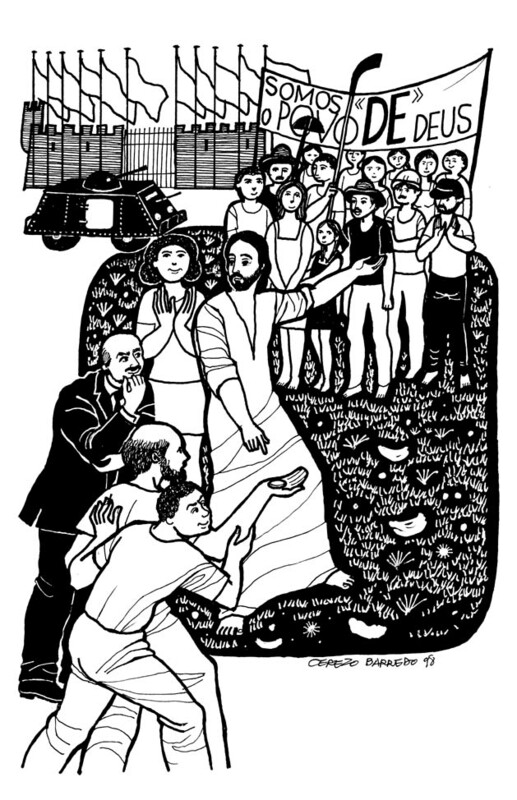 Lectionary Liturgies, Ordinary 29, Thom M. Shuman, Presbyterian Church (U.S.A.), 2014. Worship and Liturgy Resources, Ordinary 29, by Rev David Beswick, Uniting Church in Australia. Lector's Notes, OT 29, Gregory Warnusz, Saint Jerome Parish, Bellefontaine Neighbors, MO. Notes and commentary for those reading this week's lectionary texts to the congregation. 21st Century Worship Resources, Pentecost +19, UMCDiscipleship.org. Offertory Prayers, Pentecost +19, UMCDiscipleship.org. Prayers of the People, Proper 24A, Fr. Jeremiah Williamson, Praying the Scriptures, 2011. Prayer for Proper 24, RevGalBlogPals, 2011. The Timeless Psalms: Psalm 99, Joan Stott, prayers and meditations based on lectionary Psalms, 2014. Prayers for Pentecost +19, Michael Anthony Howard, The Pacific Pilgrim, 2014. HermanoLeón Clipart, Ordinary 29, Free clipart, backgrounds, slides, etc. Clip Art, Ordinary 29, Fr. Richard Lonsdale, Resources for Catholic Educators. Ordinary 29 at Cerezo Barredo's weekly gospel illustration. Follows Latin American Roman Catholic gospel reading, though most gospels texts/themes are found in the index. Liberation emphasis. "Thank You Card," video, (scroll down) John Stevens, Dollar Store Children's Sermons, 2014. "O Jesus, You Were Born to Be," an original hymn by Carolyn Winfrey Gillette celebrating the titles of Jesus and his teachings, including “O Master, may we learn from you, To love both God and neighbor, too.” Tune: TRURO (“Lift Up Your Heads, Ye Mighty Gates”) or TALLIS' CANON (“All Praise to Thee, My God, This Night”). "You My Treasure! You My Likeness!" David Coleman, 87.87D, 2011. "A Wealth of Words," Brenton Prigge, NewHymn. Hymn and Song Suggestions, Proper 24A, 2017, annotated suggestions from Natalie Sims, Singing from the Lectionary. Lectionary Hymns, Pentecost +19, UMCDiscipleship.org. Shepherd Sounds, Pentecost +18, Background information for hymns and choral music following the lectionary from the Episcopal Church of the Good Shepherd, Austin, Texas, by Eric Mellenbruch and David Zersen. Lectionary Puzzles, Proper 24. Word search puzzles in RTF or plain text, by Reg McMillan, St.Stephen's Presbyterian Church, Peterborough, Ontario. "Storypath Lectionary Links: Connecting Children's Literature with our Faith Story," Union Presbyterian Seminary, 2017. Dollar Store Childrens Sermon, John Stevens, 2017. Faith Formation Journeys Matthew 22:15-22, 2011. "Being a Copycat," Proper 24A, Frances Woodruff, On the Chancel Steps.